Submit next assignment by 16th of April. 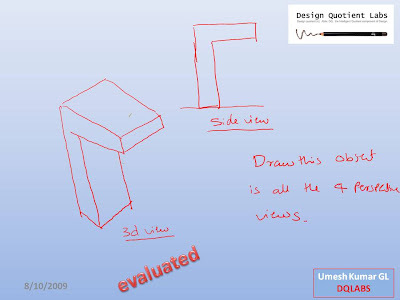 Submit next assignment by 5th April, draw the drawings as neat, dark and accurate as possible. I have sent you 4 assignments by email. Submit them on 1st Jan 2010. you will get feedback by 4th Jan 2010. There are year end vacation for dqlabbs from 21st dec to 31st decemeber. 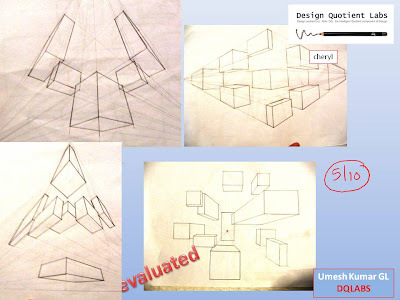 you will get feedback of your sketches on 4th of Jan. Correct the assignment as indicated in the doodles and submit them by 19th october. next assignment sent by email. follow hte feedback carefully and redo the assignment. if you can get the perspective concept right, you have won half the battle. so learn it properly..
DAy 5 - attempt the question posted below. use a scale and redo the assignment. read the perspective chapter well. i have sent you day 3 assignments. please submit them by 10th july. I have sent you some assignments by email. draw them and submit.